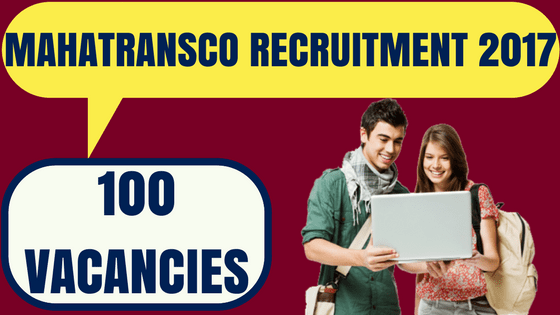 MAHATRANSCO Recruitment 2017 – Apply Online for 100 Asst Engineer Posts Available Apply online Now at www.mahatransco.in. 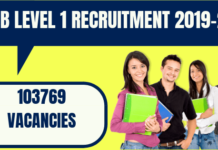 MAHATRANSCO Recruitment 2017: Maharashtra State Electricity Transmission Company Limited (MAHATRANSCO) has given an employment notification for the recruitment of 100 Assistant Engineer (Trans, Civil) vacancies. Eligible candidates can apply online from 25-10-2017 to 15-11-2017. The Maharashtra State Electricity Transmission Company Limited (MAHATRANSCO) is the State Transmission Utility of Maharashtra and one of the largest transmission utilities in India, having work force of about 16,854 employees, operating around 44,715 CKT KM Transmission Lines, 652 EHV Sub-Stations having transformation capacity of 1,19,212 MVA and ambitious plan of network expansion; invites applications from young , dynamic, talented and professional persons for the following posts. Candidates age limit should be 35 years for Open categories as on 15-11-2017. Age relaxation is applicable by 05 years for Reserved candidates as per rules. For more information refer the notification.  The upper age limit for departmental candidates (only MSETCL Employees) is 57 years.  The upper age limit for Persons with Disability is relaxable up to 45 years.  The upper age limit for candidates applying against Sports Quota is relaxable by 5 years but should not be more than 43 years in any case.  Date of birth shall be as per SSC/School leaving certificate. Assistant Engineer (Trans): Bachelors Degree in Electrical Engineering / Technology. Assistant Engineer (Civil): Bachelors Degree in Civil Engineering / Technology. i. The selection process shall comprise of On-line Test only. ii. All the candidates who registered successfully will be called for On-line test without verifying their eligibility. The verification of their Certificates/documents/eligibility shall be done before issuing appointment, if candidate found ineligible/not eligible during verification process appointment order shall not be issued. iii. The On-line test will be of Objective Type. iv. The On-line Test will include test of Marathi Language. v. Taking into consideration the performance in On-line Test, select list will be prepared. vi. While drawing select list, out of 150 marks obtained in On-line Test will be converted into 100 marks. Thus, select/wait list will be drawn out of 100 marks. vii. Normally, selection process will be followed as prescribed above. However, which selection procedure is to be adopted will be at the absolute discretion of the Company and the decision of the Company in this regard shall be final. viii. There will be penalty for wrong answers. For each question for which a wrong answer has been given by the candidate, 1/4th (i.e. 0.25%) of the marks assigned to that question will be deducted as penalty to arrive at corrected score. If a question is left blank, i.e. no answer is marked by the candidate, there will be no penalty for that question. 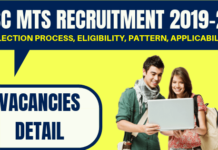 Candidates are required to pay Rs.700/- for Open Categories, Rs.350/- for Reserved categories through Internet Banking/ Credit card/ Debit Card (RuPay/ Visa/ MasterCard/ Maestro)/ IMPS/ Cash Card/ Mobile Wallets. 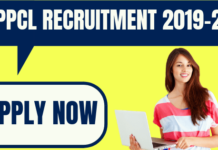 Eligible candidates can apply online through the website www.mahatransco.in from 25th October 2017 to 15th November 2017.
a) Candidates are required to apply Online by clicking on the link “CLICK HERE TO APPLY ONLINE” given at the end of this Advertisement. b) To register application, choose the tab “CLICK HERE FOR NEW REGISTRATION” and enter Name, Contact details and Email-ID. A Provisional Registration Number and Password will be generated by the system and displayed on the screen. Candidate should note down the Provisional Registration Number and Password. An Email & SMS indicating the Provisional Registration number and Password will also be sent. c) In case the candidate is unable to complete the application form in one go, he/ she can save the data already entered by choosing “SAVE AND NEXT” tab. Prior to submission of the online application, candidates are advised to use the “SAVE AND NEXT” facility to verify the details in the online application form and modify the same if required. Visually Impaired candidates should fill the application form carefully and verify/ get the details verified to ensure that the same are correct prior to final submission. d) Candidates are advised to carefully fill and verify the details filled in the online application themselves as no change will be possible/ entertained after clicking the FINAL SUBMIT BUTTON. 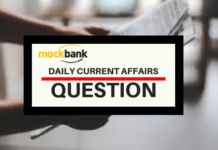 e) Candidates should upload the scanned image of passport size recent colour photograph, scanned signature in the online application. The online application will not be accepted / submitted unless candidate’s photo, signature are uploaded. f) The Name of the candidate and his/her Father/ Husband etc. should be spelt correctly in the application as it appears in the Certificates/ Mark sheets. Any change/alteration found may disqualify the candidature.